An uplifting metaphor for the triumph of the plucky local underdog over the staid bastions of centralism unexpectedly emerged this week. The BBC announced Rochdale MBC’s Town Hall chimes are to replace those of the out-of-action Big Ben on the broadcaster’s traditionally live recording of the bongs that precede the Radio 4 news. The broadcaster has had to rely on old recordings of Big Ben while the Houses of Parliament are undergoing restoration but, in what it described as a “special festive replacement” (presumably a seasonal treat for the campanology community), the Greater Manchester bongs are to be heard live before the 6pm news bulletin on Christmas Eve. Then today came the provisional local government finance settlement and, with it, the reminder that actual triumphs of the local over the central are few and far between. Much of housing and communities secretary James Brokenshire’s finance settlement amounted to ‘more of the same’. The £153m cost of negative revenue support grant will be covered by the government, 15 pilots in which an area’s councils will retain 75% of business rates receipts were announced, the new homes bonus growth baseline will remain unchanged and authorities will again be allowed to increase council tax bills by 3% (plus whatever is permissible locally under the social care precept) without a referendum. When Mr Brokenshire boasted that local government’s core spending power would rise by £1.3bn to £46.4bn next year – “a cash increase of 2.8%” – he was heralding another substantial rise in council tax (for which his central colleagues presumably hope councils rather than ministers will be blamed by voters). It was confirmed that Greater London business rates retention pilot will retain only 75% of receipts, as opposed to 100% at present, while 12 of the 15 areas chosen to be new pilots would be counties. This together heralds a pre-fair funding review redistribution of funds from the capital to other areas. A similar boost for the shires, this time at the expense of other urban areas, would result from the government’s elimination of negative revenue support grant, according to Sir Stephen Houghton (Lab), chair of the Special Interest Group of Metropolitan Authorities. In truth, this was not an earth-shattering local government finance settlement. And LGC should note that councils have already been fed a few bones lately in the health secretary’s Tory conference speech and Philip Hammond’s Budget. But these were only bones, without too much meat. When a sector is on course for financial oblivion, any failure to radically change course is disappointing, even if hardly unexpected. However, this year’s settlement rankles more than most. One of the main reasons for this is actually the result of the genuinely good intentions of Mr Brokenshire and local government minister Rishi Sunak. In a rare central concession to common sense, the ministers agreed to offer section 151 officers a bit more certainty and time to prepare their budgets by promising a settlement would be delivered on 6 December. However, the government’s Brexit-induced chaos forced a delay, with no confirmation of a date for the settlement until yesterday. Even when a government is trying to be nice, it still slips on a banana skin placed there by no one other than itself. A couple of points made by Mr Brokenshire in his speech are a little galling. Firstly, the secretary of state said the ministry and the Treasury shared the Chartered Institute of Public Finance & Accountancy’s concerns about how “a few authorities… are continuing to undertake significant amount of borrowing for commercial purposes”. This was resulting in risk to them and council tax payers and could be the subject of “further interventions”. 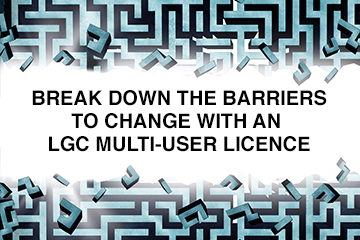 While LGC shares these legitimate concerns, especially in relation to one or two heavily exposed small councils with undiversified investments, there is a reason that councils are opting for a riskier course. Quite simply, they have to find new forms of funding because if they do not they are doomed. It is the extent of central funding cuts which is exposing councils to risk. We must wait to see whether any intervention is confined to Spelthorne and Runnymede BCs, the two councils that have invested most in commercial property over the past three years, or amounts to something more widespread. Secondly, Mr Brokenshire said the government was supporting councils to “make the best of available resources and increase efficiency – but also to innovate and improve the way that we deliver services”. He was heralding the spring launch of an ominous sounding “continuous improvement tool”. There is one tier of government in which there is innovation aplenty and another tier of government which has partially stopped functioning amid chaotic leadership. LGC queries whether a more appropriate way to “make the best of available resources and increase efficiency” would be for local government to launch a “continuous improvement tool” to help out its central counterpart. So today brought with it another indication of a shift in funding in favour of the shires, a couple of new rankles and a general feeling of being underwhelmed. LGC recognises that Mr Brokenshire has not got a huge amount of room for manoeuvre to ensure local government is placed on a sustainable footing. But, nevertheless, radical action must be demanded from next year’s spending review. The role of the centre should be to ensure councils, especially those in areas with high levels of deprivation or increased service demand, get the funding they need. When the government fails on this score but puts these great institutions through the indignity of waiting for low-key spectacles such as today to see what crumbs they are to receive, it highlights the chains which holds back councils. Let’s enjoy the Rochdale bells while we can. It could be the death knell of local government that’s tolling before long.